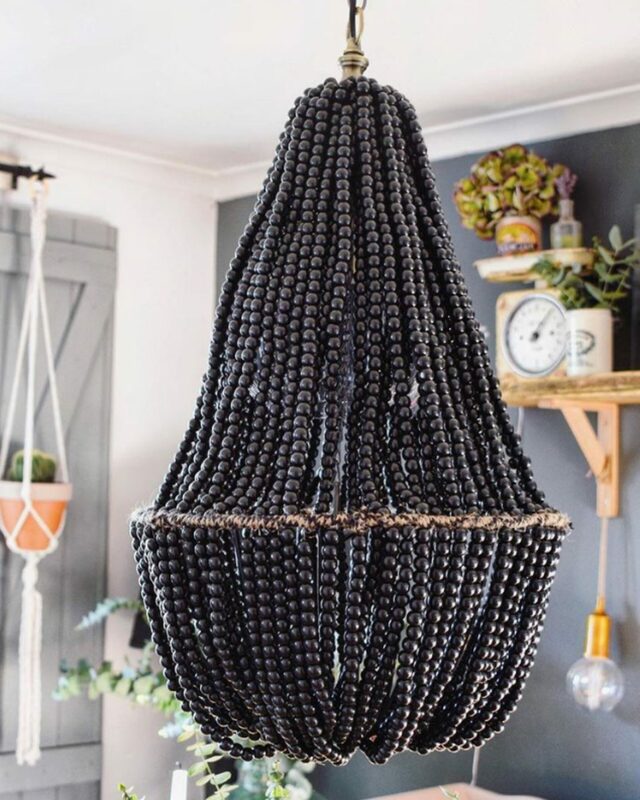 After posting the photos of my newly decorated dining room on Instagram the other day, showcasing my handmade beaded chandelier, a few people asked me to do a blog post on how to make one. It was ambitious of me to attempt to make it, and I won’t sugar coat it, I probably won’t ever make another one. Not because I don’t like how it turned out, I really do, but more because it was an absolute pain in the arse to make, not to mention very time consuming. The first thing I bought was a 14″ hanging basket for £4.99 from Homebase. 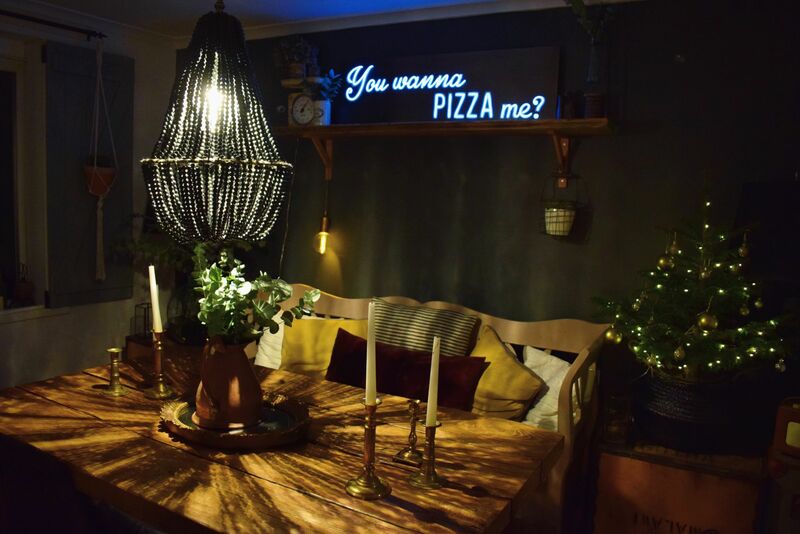 Try and get the same colour as you want the chandelier to be, if not you will have to spray it. The next thing you will need are beads. 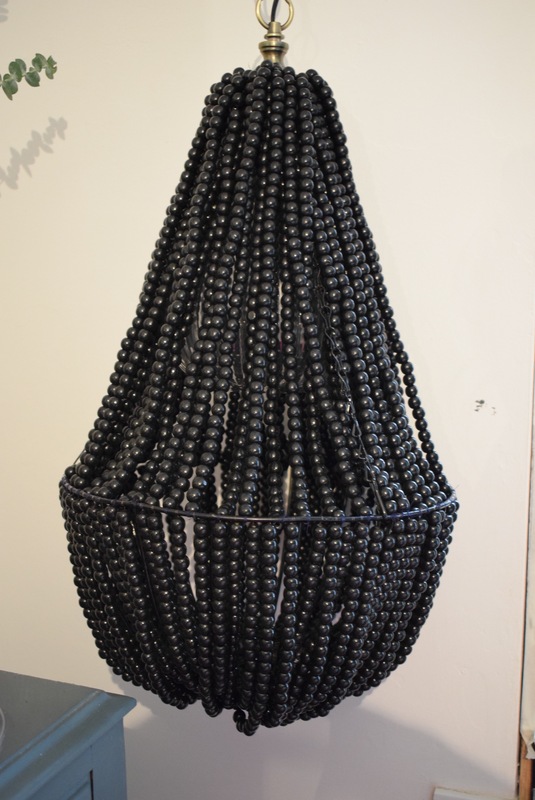 I massively underestimated the amount I would need and only bought 1200 10mm black wooden beads. I got them from eBay, 99p for 100 which is the best price I found. I then had to figure out how I was going to get a light fitting. You can buy them on eBay, if you do this you’ll have to wire the basket to the fitting. You can find out how to do this on Pinterest. 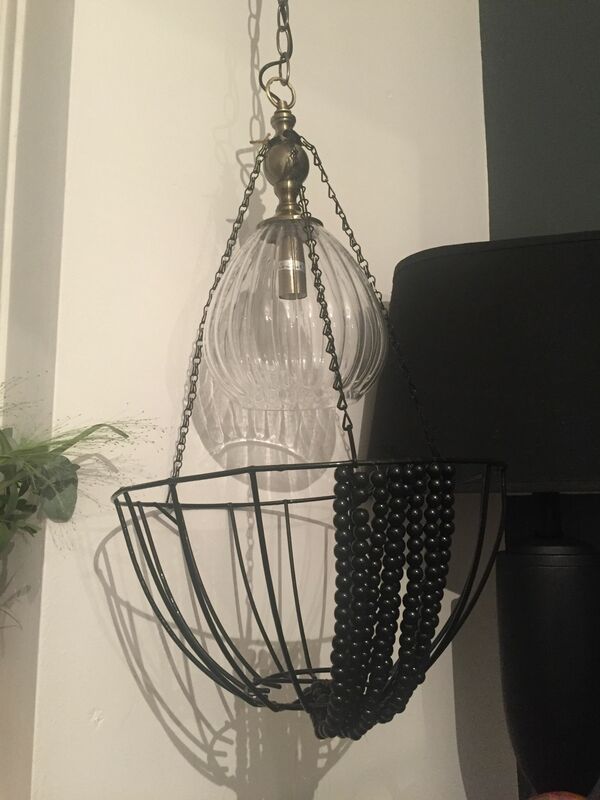 Luckily I came across a small glass pendant light in Homebase reduced to £15, so I bought it on a whim hoping it would work. 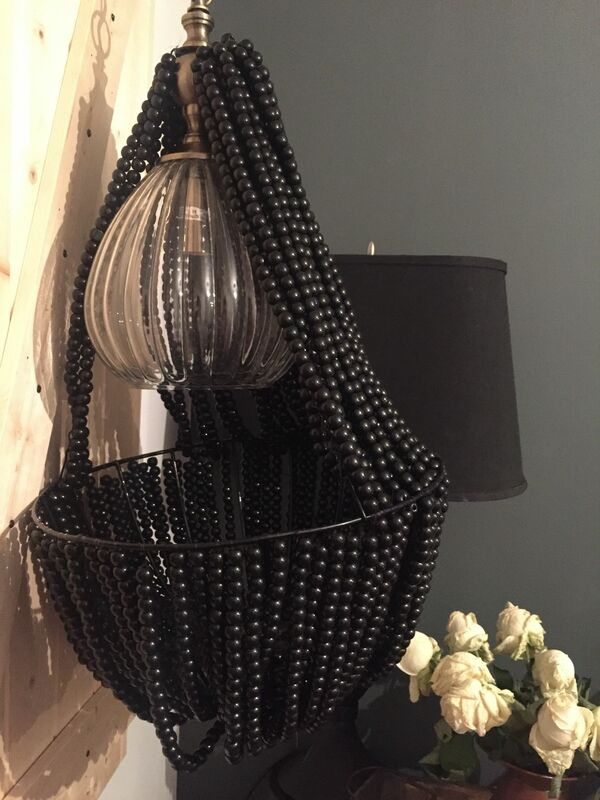 When I got it home I attached the basket to it and it looked like the glass would be well hidden by the beads, so I began to thread. This is the frustrating bit. I originally started threading the bottom part of the chandelier using fishing wire. 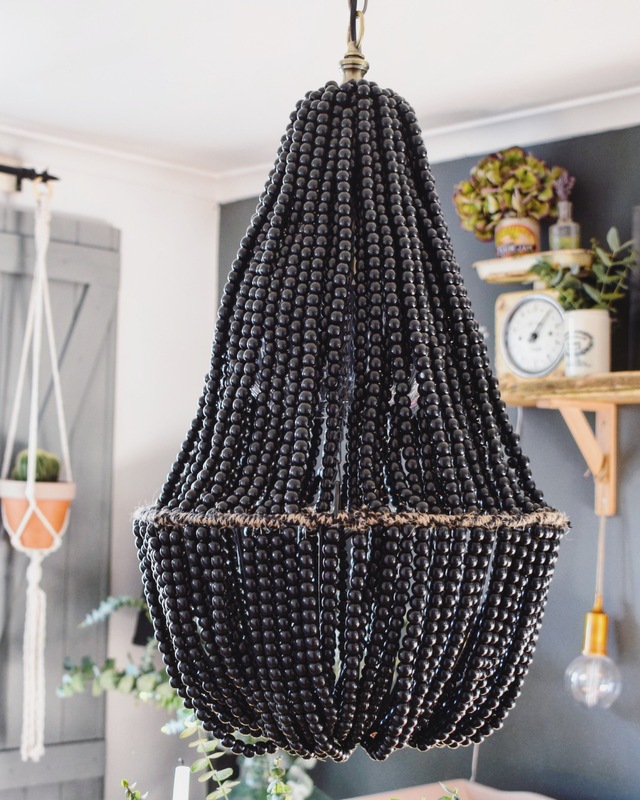 It was quite time consuming to thread through the beads, but also it kept slipping through my fingers, resulting in the 22 beads I’d just threaded to fall all over the floor. You can imagine the explicit language coming out of the dining room at this point. I felt like giving up but I’d come this far I needed to carry on with it. Another thing I found with the fishing wire was that it was stretching when I was tying knots, causing the string of beads to sag. Once I’d threaded all of the beads I had I worked out how many more I needed to get and ordered another 3000. Instead of using fishing wire for the top section I decided to use cotton thread and a needle. This made the threading part so much easier and a lot faster. I just worked my way around the basket, ensuring there were enough to cover the glass pendant, but leaving small gaps for the light to come through. Once I’d finished threading I tidied up any that had loosened up and wrapped twine around the middle to hide any knots. I’m so pleased with how it has turned out. I ended up using around 4000 beads, and it cost around £60 to make. Sadly it doesn’t give off much light but it does make a real statement in the room and I can enjoy it even more knowing I made it myself. 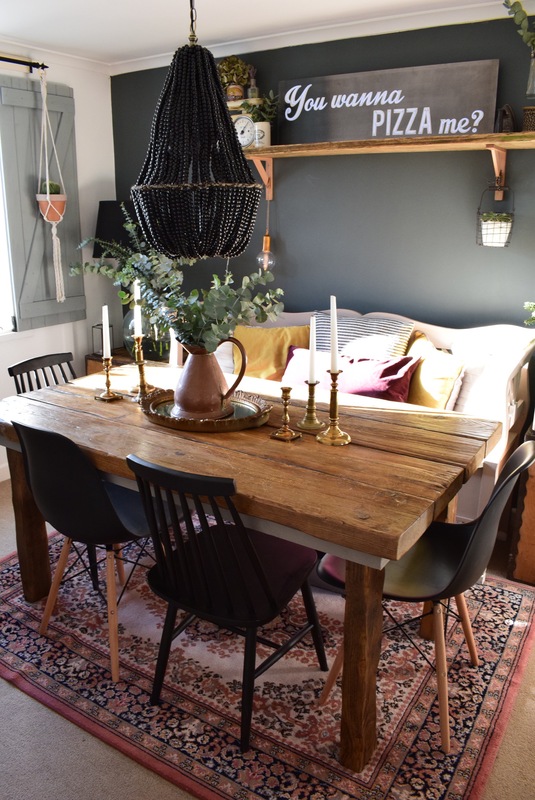 Previous Post My dining room makeover.